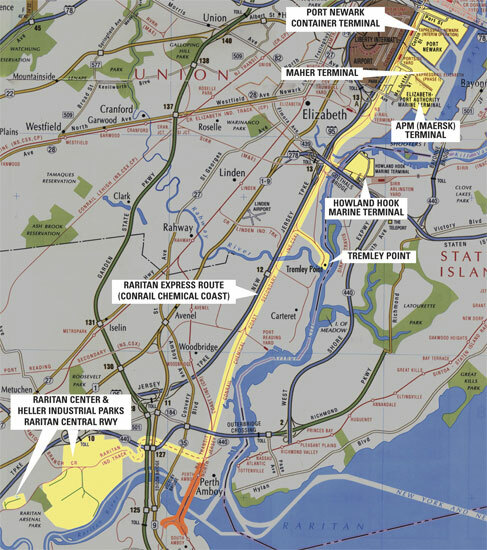 The Raritan Express Shuttle will operate along New Jersey’s new “Liberty Corridor”, which will be made up of existing rail infrastructure stretching from Bayonne to Perth Amboy. The rail lines along this route include Conrail Shared Assets’ Chemical Coast Secondary, Greenville Branch, and Raritan Industrial Track. The Liberty Corridor will serve every major port facility in Northern New Jersey including: Port Newark Container Terminal, Maher Terminal, APM (Maersk) Terminal, Howland Hook Marine Terminal, and Tremley Point. 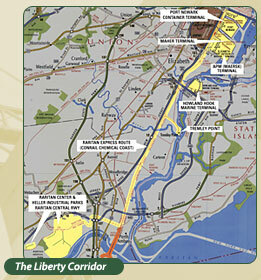 For a larger view of the Liberty Corridor, click here.